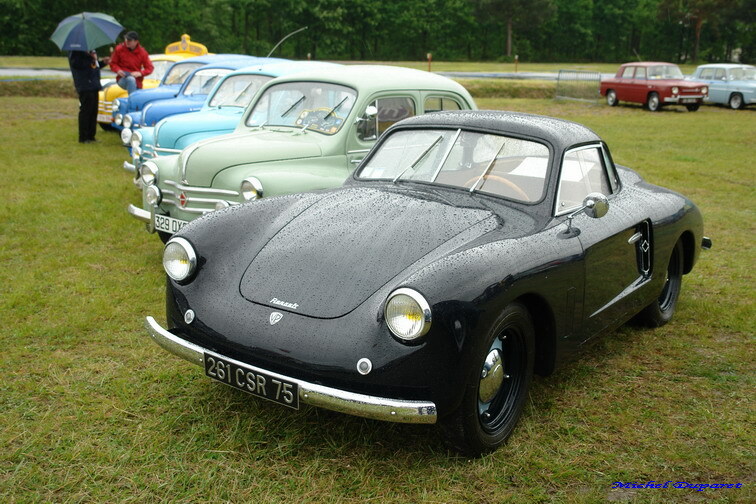 The history of VP begins in 1952 after Emile Vernet had run a lightly modified version of the then new 4CV Renault in 1950 and 51. 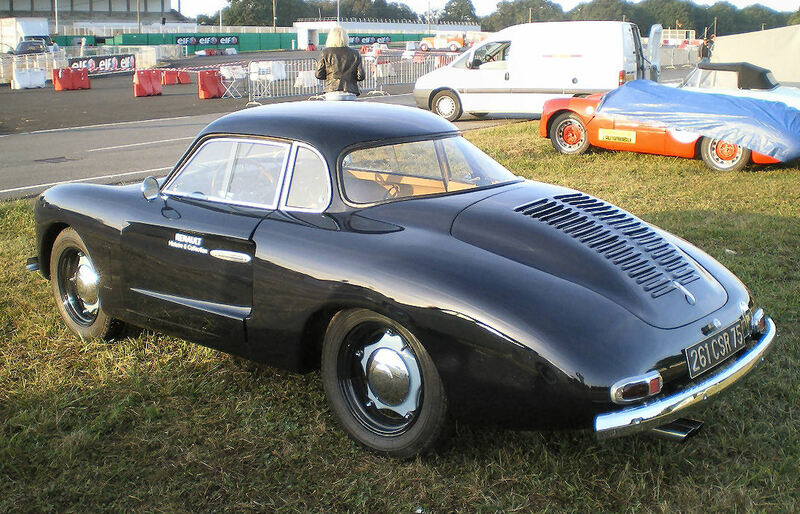 Vernet himself had been competing at Le Mans since the 1930s, but for 1952 teamed up with industrialist engineer Jean Pairard and design engineer Robert Mauger to make a more aerodynamic and lighter 4CV based sports car for the job. 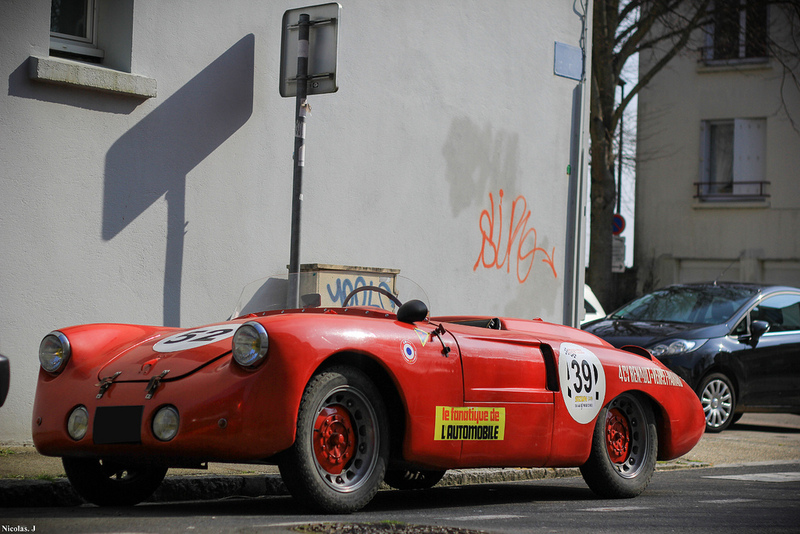 These three set out to become for Renault what Alpine eventually achieved. They tried to reach the mark for several years, but even though a number of the cars were quite competitive, they were toppled by fait. Small problems seem to continually thwart their endeavours when it came to the big event, and eventually in 1958 they gave up. 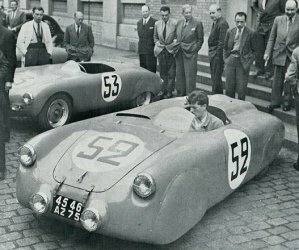 In the process VP produced a number of interesting open sports cars for Le Mans, which in those days were also eligible for road use. One of their early cars was also a coupe that had a high cabin silhouette to accommodate the lanky figure of Pairard. This proved to be an aerodynamic ‘downer’ it larger frontal area and perhaps a rear window shape and angle that in itself created drag. However, this spawned some later race and road going coupes that were more streamlined and indeed looked to many like a sleeker more stylish Porsche 356. Unfortunately it seems only one couple and one roadster survive, both of which are based on 4CV frames rather than the signature chassis designed by Mauger.